Why limit Funday to Sunday? We are in the city that never sleeps, and a place to frequent for a little weekday pick-me-up for your weekend hangover is a must. 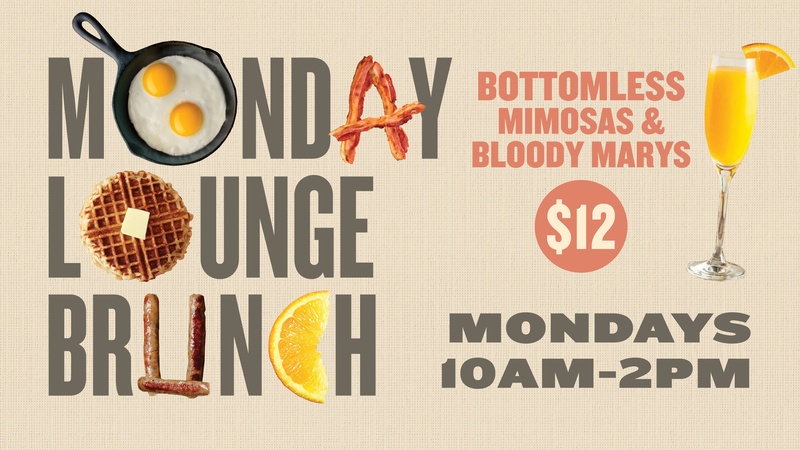 Ellis Island Casino, Hotel and Brewery has launched their Monday Lounge Brunch in its famed karaoke lounge weekly from 10am-2pm. The words "karaoke lounge," with its undoubted tendency to resurface memories of who-knows-how-many-shots-of-whiskey and maybe a few too many Journey songs, may not come to mind as first on your list to revisit for a relaxing weekend...end or rejuvinating week...beginning, but Ellis Island has found the perfect balance for that weekend to weekday transition. Ellis Island Casino & Brewery is home to some of Las Vegas’ most recognized food, beverages and entertainment. Its commitment to quality and service has been a tradition for nearly 50 years. The hotel and brewery features wonderful amenities including a 24-hour restaurant with a famed steak special, Las Vegas' top-voted micro-brewery and karaoke lounge, Metro Pizza and complimentary parking. The casino offers hundreds of gaming devices with a variety of games including reel slots, video poker and keno. Live blackjack, roulette, craps and sportsbook wagering is available seven days a week. Conveniently located one block east of the Las Vegas Strip on Koval Lane behind Bally's, Ellis Island is a must-see destination for every Las Vegas visitor and local.